A weekly podcast for moms. A space to remember we are not alone in our experiences, be challenged to have joy among the chaos, remember grace covers guilt, and seek the truth of the gospel above all else. This is a podcast for the imperfect mother, still learning, still growing and still fully recognizing she doesn’t have it all together - but comes everyday, to the base of the cross, to seek the one who does. Every mom spends a tremendous amount of time feeding their baby. Whether we had carefully laid plans, many choices at our disposal, or the choice was made for us; bringing new life into the world forces to us walk headlong into our first big task as a mom. In this episode, Emily and Laura discuss their experiences with this issue, shifting the conversation away from judgment and comparison. What would happen if we refused to let our feeding method define our first year with a child, and instead, treasured Christ above all else? Like Risen Motherhood on Facebook and follow on Twitter for the latest updates and related information. Let us know your thoughts! We'd love to hear more about the conversations you're having. Shoot us an email, or find us on on social media. As moms, our greatest hope is that our children come to know and love Jesus, developing a deep relationship with the one true God as they mature. And we know that the best way we can impart our faith on our children is nurture, teach, model and encourage them in Biblical truths as we live out the gospel in our daily life. But often, that desire is so great, we inadvertently bear the burden of their eternal future on our shoulders, drowning us in guilt, fear and false responsibility. In this episode, Emily and Laura discuss the common pitfalls in trying to "secure" our children's faith, and explain how moms can trust God with our children as we continue to be faithful to out the redemption story in our everyday life. Like what you hear? 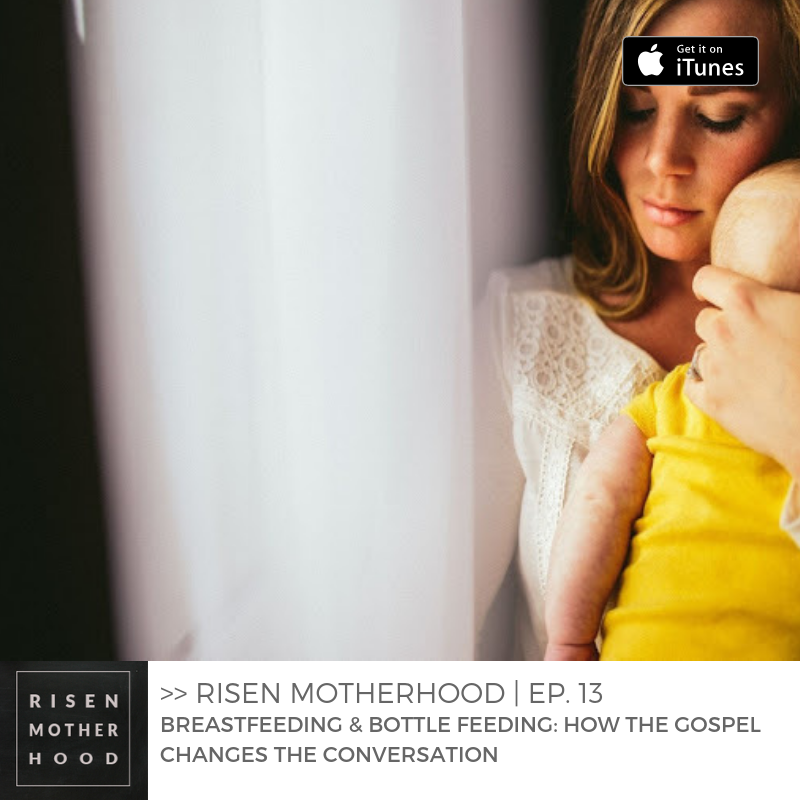 Visit www.risenmotherhood.com for links to additional articles and resources on this topic. You'll also find more encouragement and truth on how to be an intentional mother that cares for and loves her children with eternity in mind. And if you get a chance, we'd love for you to subscribe and/or leave a review in iTunes! As moms, we have a lot of demands on our time. The world tells us we should "do it all", not leaving room for weakness or balance. In this episode, Emily and Laura discuss God's plan for a mom's time, and share areas of their own lives where they've needed to wave the white flag and find extra support. If you're feeling pressed for time and overwhelmed, listen in for encouragement and practical ideas for organizing your priorities.